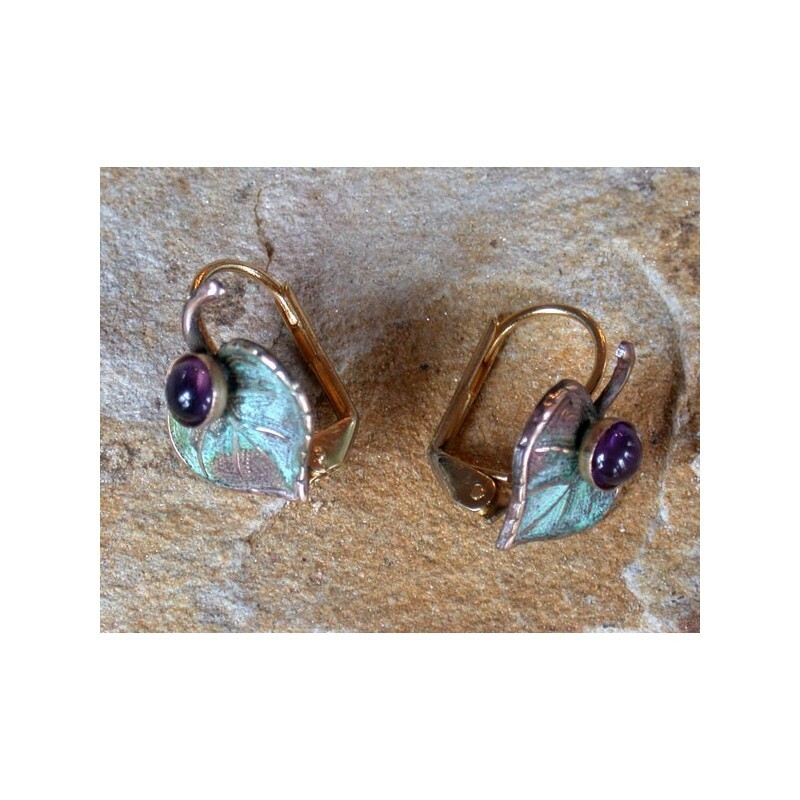 Delicate Solid Brass Mulberry Leaf Earrings in our signature Verdigris Patina finish, shown with genuine Amethyst Cabochons. Amethyst shown, Light Amazonite, Carnelian, Garnet, or Light Jade also available. 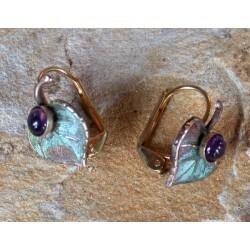 Earrings Measure: 5/8" x 1/2"